No true Star Wars fan can really barbecue without these grill thongs. Let yourself be seduced by the Dark Side while flipping burgers. But don't take that too literally: if the meat really starts getting dark, you're better off turning them quickly. 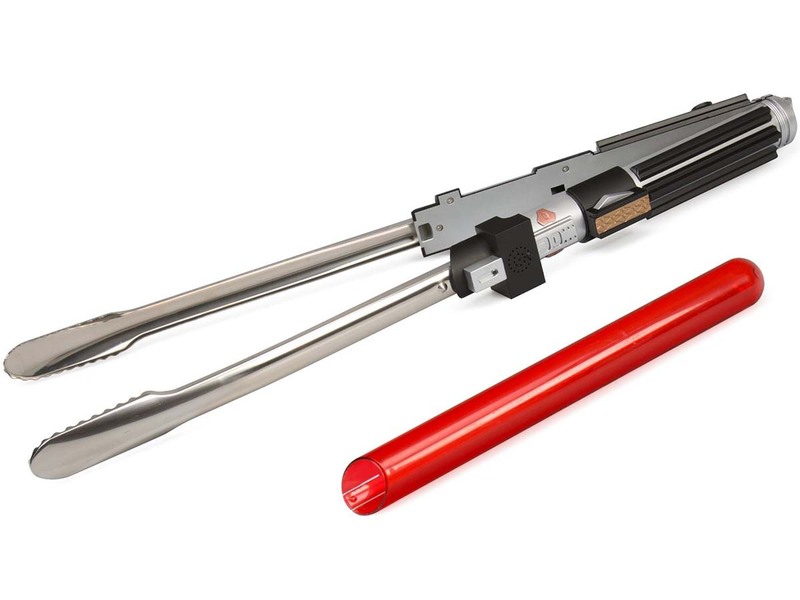 The grip is a replica of Darth Vader's lightsaber. 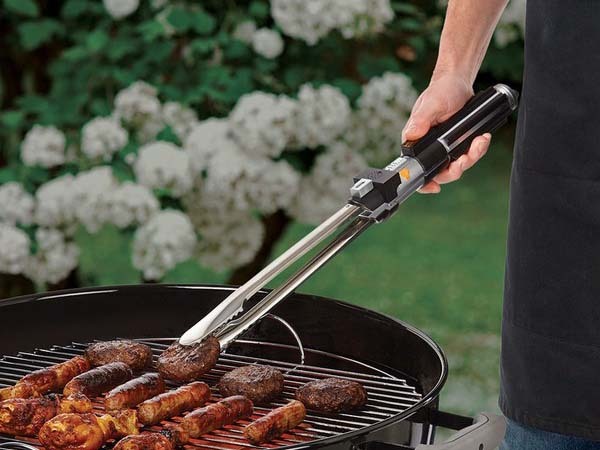 Imagine that the BBQ's flames protrude from the hilt, completing the lightsaber experience when you're using this galactic gadget. But even when you're not using it, the enclosed protective sleeve is the perfect shade of red. And let's not forget about the necessary sound effects!